The technique fluorescence in situ hybridization (FISH) is extensively used by cytogeneticists world over for making fluorescent DNA probes with the aim of detecting a range of chromosomal abnormalities in patients. FISH probes have wide applications in cancer cytogenetics as they expand our understanding of hematopoietic and non-hematopoietic malignancies. Globally, the areas of biomarker research and personalized medicines have been witnessing rapid advances from the application of this low-throughput cytogenetic test. Over the past few years, the application of FISH probes has progressively impacted the discovery of genes aberrations that lead to hematologic and solid tumors. The role occupied by FISH probes as a simple tool for evaluating key biomarkers in tumors is a crucial factor driving their demand in the medical sector across the globe. The increasing role of FISH probes in designing targeted therapy for leukemia is a case in point. The global FISH probe market is benefitting greatly from the rapid strides being experienced by personalized therapies all over the world. Over the past couple of decades, the potential of FISH probes is increasingly being leveraged to detect various types of chromosomal aberrations witnessed in leukemia. In addition, the rising demand for FISH detection kits for diagnosing a range of non-hematopoietic malignancies bodes well for research in lung, prostate, and breast cancer. The vast potential that FISH technique embodies for biomarker research in finding out targeted therapies for these cancer types will pave way for lucrative prospects in the market. A growing body of clinical studies using FISH probes bodes well for the market. The wave of automation in FISH techniques have made them more robust, thereby opening new, exciting avenues for market players. However, the commercialization of such automated systems calls for more expansive clinical trials. Furthermore, the lack of standardization in processing protocols acts as a key bottleneck for their commercialization. In recent times, the global market for FISH probe has been reporting a tremendous rise, thanks to the rising incidence of various chronic diseases among people across the world. This market study is an analytical research of the performance of the global market for FISH probe in past and during the period from 2017 to 2025. The research especially emphasize on the driving forces, growth barriers, opportunities, challenges, and the prominent trends in this market in order to determine its future status. 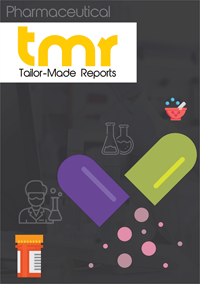 The increasing prevalence of cytogenetic disorders, such as cancer and various genetic abnormalities is driving the global market for FISH probe significantly. The demand for fast and accurate prognosis techniques for the identification of diseases are also propelling this market to a great extent. Going forward, the increase in research and development initiatives by various market players for the development of new, disease specific FISH probes biomarkers is projected to support the growth of this market in the years to come. The global FISH probe market can majorly be assessed on the basis of the application and the end user. Based on the application, the global market can be classified into cancer diagnostics and genetic diagnostics. Among the two, cancer diagnostics has surfaced as the key application area of FISH probe across the world. FISH probe finds significant application in the diagnosis of lung cancer and breast cancer among people. Researchers anticipate that the cancer diagnostics segment will continue to be the prime application area of FISH probe over the next few years. Research, clinical, and companion diagnostics have emerged as the main end users of FISH probe, worldwide. The global market for FISH probe is considered to be spread across North America, Asia Pacific, Europe, Latin America, and the Middle East and Africa. With high prevalence rate of genetic disorders leading to birth abnormalities, developmental disabilities, and various other metabolic syndromes, North America has been leading the global market over the last few years. Analysts at TMR Research expect this regional market to remain on the top in the years to come, thanks to the significantly high pace of childbirth. Other regional markets, such as Asia Pacific and Europe, are also reporting a high rise in their respective markets for FISH probe. Asia Pacific is benefiting significantly from the growth of the cytogenetics and the molecular diagnostic sectors. The presence of untapped opportunities makes Asia pacific highly lucrative regional market for FISH probe. The business landscape in the global market for FISH probe is highly competitive due to the dominance of a few players. The rivalry between the players is quite high in this market. Oxford Gene Technologies, PerkinElmer Inc., Life Science Technologies, Abnova Corp., Genemed Biotechnologies Inc., Biosearch Technologies Inc., and F. Hoffmann-La Roche AG are some of the leading players in this market across the world. These players are emphasizing on developing and launching new and improved products in a bid to gain maximum traction in this market. They are expected to involve increasingly into mergers and acquisitions and strategic partnerships to expand their regional reach over the next few years.